Sustainably feeding the world’s growing population in the face of limited land and water resources and growing challenges from climate change will require developing climate resilient food production systems. The knowledge and resources essential for these innovations will often need to be harnessed from beyond the modern labs and experimental fields. Many CGIAR scientists are consequently involved in research with indigenous peoples, and the traditional knowledge (‘TK‘) associated with agriculture. CGIAR therefore bear a serious responsibility with regard to the way in which TK is acquired and used. Traditional knowledge is subject to many threats: erosion from failure to pass on from generation to generation, changing land use, climate change, migration and biopiracy to name just a few. Rice varieties in Sri Lanka for example, decreased from 2,000 in 1959 to less than 100 in 2012, and just 7 companies hold three quarters of patents in genetic resources and transformation technologies. Of principal interest to CGIAR however, are farmers, local seeds and farming practices although the nature and scope of traditional knowledge is extremely broad and covers many areas outside of CGIAR’s work. There are already many examples of good practices in place around CGIAR that deal with the use of TK in research. Here are just a couple to illustrate how working with a focus on traditional knowledge can advance research in a way that can maintain, respect and recognize the valuable input from farmers. 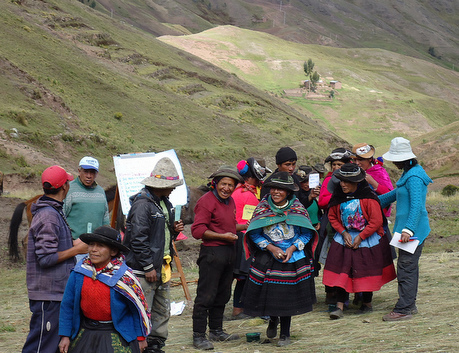 The Potato Park in Peru is a conservation initiative where the local people are managing and protecting local genetic resources and traditional knowledge. Originally created to protect the biocultural heritage of local communities, initiatives are underway to protect TK, prevent biopiracy, develop registers of local biodiversity and TK, and preserve and promote native potato varieties. 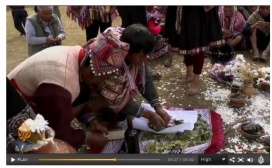 The International Potato Center (CIP, a member of the CGIAR Consortium) collaborates closely with the Potato Park and involves communities in a process of documenting and conserving traditional knowledge. One such practice is known as ‘repatriation’. Local farming communities cultivate native potato varieties, providing genetic materials to CIP who later return them cleaned from viruses back to the farmers. The Genetic Resources Unit of CIP (led by Stef De Haan) is also active in many other in situ conservation efforts. Their approach seeks to respect traditional knowledge by minimizing interference with traditional methods. Native Potato Catalogues document characteristics of varieties and thus help translate a usually oral knowledge into written and image-based scientific documentation. This is valuable for the communities as a way of immortalizing the information for future generations, as well as demonstrating ‘prior art’ to avoid future misappropriation. It is also valuable because the information can be accessed by others around the world. Most importantly perhaps, documenting TK in this way recognizes the roles of the communities who have been the owners, custodians and improvers of these varieties for hundreds of years. Farmers’ knowledge is not only recognized during this practice, but built upon and strengthened. In this way the profile of the holders of the knowledge is elevated, creating incentives to continue its use and development. Bringing farmers into contact with formal breeders also makes farmers more aware of what science can offer them. Apart from the central role that TK plays in participatory plant breeding, TK is central to CGIAR’s work on conservation and the sustainable use of biological resources. Important TK research issues for CGIAR scientists to consider include: the criteria that local actors, policy-makers, and researchers use to value genetic resources and biodiversity; how traditional knowledge is obtained, processed, and systematized; how value is added to local knowledge and innovation; how, and under which protocols and guidelines projects and activities are undertaken; and how results are communicated and exchanged among various actors. An overarching concern for both those who supply TK and those who receive it is the need to obtain Prior Informed Consent (‘PIC‘). By documenting the PIC that has been established before the beginning of any new study, it can be indicated that both sides understand fully the implications regarding the use of the TK in the project. The Nagoya Protocol sets out obligations requiring prior informed consent of Indigenous and local communities for access to their genetic resources (Art 6.1) and traditional knowledge (art 7). There is also the obligation for states to take into consideration the customary laws, protocols and practices of Indigenous and local communities in implementing the Protocol. This issue is of particular importance as CGIAR moves towards open access, and open data policies. TK resides in seeds and breeds, but it also appears in reports, notes and data sets, and care must be taken not to put information in the public domain that has been collected without proper consideration to protection of TK and farmers’ rights. TK held by Indigenous peoples themselves, i.e. knowledge handed down from generation to generation by designated persons within indigenous communities, may be difficult to identify. Researchers need to be aware of and sensitive to any restrictions and concerns that indigenous peoples may have with regard to the documentation or recording of such knowledge. Researchers also need to take into consideration possible errors that may occur in the sharing of traditional knowledge due to human error. Genetic resources are now subject to the sovereign rights and to the established rights of Indigenous peoples; furthermore international law recognizes farmers’ rights and requires the use of PIC for collection of traditional knowledge. The Nagoya Protocol obligations fall upon states even where no national access laws have been adopted in the country in which the relevant indigenous people and local communities reside. It goes without saying that international research organizations should be following good practice in this area. But how can we be sure that information is being accessed in line with both legal requirements (of both national and international law) and the customary laws of indigenous peoples? Furthermore, is consent being given by someone who is authorized to do so? There are no easy answers, and many more questions remain. However, the work this year by the CGIAR Consortium to produce a set of guidelines for the implementation of the CGIAR Principles on the Management of Intellectual Assets goes some way to guide essential processes to ensure effective practices in this area. Article 3.2 of the CGIAR IA Principles provides that “CGIAR seeks to be respectful of national and international efforts to protect and promote farmers’ rights as envisaged by the Treaty and support the development of appropriate policies and procedures for their recognition and promotion”. 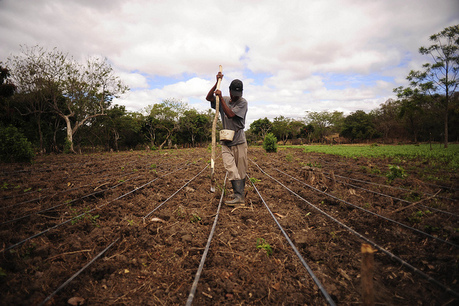 The accompanying guidelines indicate ways in which these principles can be implemented, suggesting a list of non-exhaustive practical actions that Centers could take, such as: ensuring PIC takes into account community protocols; pro actively engaging farmers to ensure they understand the proposed uses of genetic resources or knowledge collected; sharing research results with farmers from whom resources were accessed; applying correct attribution; and involving farmers as partners in research and development projects –to name a few. Further suggestions to protect and promote farmers’ rights are available in the study commissioned by the Global Forum on Agricultural Research (GFAR) entitled “Mechanisms by Which Centers of the CGIAR Consortium can support the development of appropriate policies and procedures for the recognition and promotion of Farmers’ rights” by Juanita Chaves Posada. Certainly such policies are strong evidence of the considerations and commitments CGIAR has made to the rights and obligations that accompany the use of traditional knowledge –but it is the institutionalization of the principles and processes that will ultimately fulfil the commitments made. Special thanks to Brendan Tobin (ACIPA) and Ronnie Vernooy (Bioversity International) for inputs to this post. Materials were originally collected as part of a seminar program aimed at the CGIAR Consortium Legal/IP Network (CLIPnet) facilitated by the CGIAR Consortium General Counsel.